The peoples and the nations of the world are entering a time of grave difficulty and change. The world’s resources are declining. Populations are growing. And as this occurs, there will be continued competition and the grave danger of conflict and war. Here ancient animosities will be aroused. Prejudices will be played upon and used by those who are ambitious within both governments and religious institutions. Human weakness will be preyed upon, and fear will be pervasive. It is because of this great threshold that a New Message from God has been sent into the world for the protection and advancement of humanity. 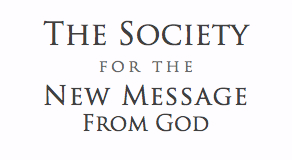 In order to understand the greatness of this Message and its relevance to your time, you must come to understand and recognize those great changes that are now threatening the human family—threatening to send it into decline, threatening to ruin the great accomplishments of civilization, threatening to undermine the well-being and survival of people everywhere. This passage is from the revelation The Fate of Nations. Listen to this divine revelation, and hear God’s Will regarding the circumstances and the preparation called for now. The world is facing sea level rise, violent weather, acidifying oceans, mass extinction and the prospect of global war and extraterrestrial intervention. Humanity is suffering from religious divisions and conflict, and a deep spiritual poverty of the soul. God’s plan is to save everyone. That is why there is a new Message from God.